2019 Event Tickets for Jacksonville Concerts are on sale now! 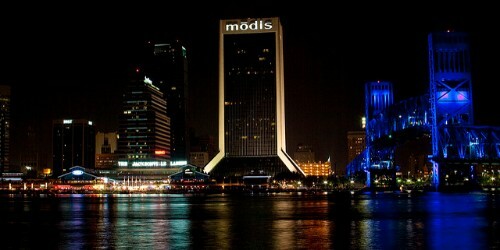 Like many cities in Florida, Jacksonville appeals to tourists and travelers. With beaches such as Neptune Beach, Jacksonville Beach, and Ponte Vedra Beach, it is no wonder why. To meet the entertainment-focused drive of these travelers and tourists, many destinations in Jacksonville draw people in with a secondary motive: live music. Surfers, golfers, boaters, and any other type of visitor needs to eat sometime. With this in mind, locals and newcomers alike benefit from a slew of restaurants, bistros, bars, and cafes and that also provide concerts. Some of these venues include Gusto Jax, Yummy Crab Seafood Restaurant and Sports Bar, North Beach Bistro, Gilbert’s Southern Kitchen and Bar, Ragtime Tavern & Seafood Grill, Ocean 60, Maggiano’s, J. Alexander’s, Seasons 52, Bahama Breeze, BRIO Tuscan Grille, table1, Cooper’s Hawk Winery & Restaurant, Palm Valley Fish Camp, 3 Palms Grille, Seven Bridges, Gilbert’s Social, III Forks, and Terra Gaucha Brazilian Steakhouse. For Concerts in Jacksonville, please see our event listing calendar of Concert tour dates in 2019! Some people like to wander when they are out on the town. With the number of bars and clubs in this nightlife hub, people can enjoy the cool breeze as the prowl for new spots to see. Clusters of venues near places like North Ocean and East Bay Street, otherwise known as “The Elbow,” offer a smattering of places to check out with great live sounds. That one very walkable nook downtown holds a number of favorite spots, such as The Florida Theatre, 1904 Music Hall, Bold City Brewery, Intuition Ale Works, The Volstead, and more. With such a varied mix of venues in such close proximity, outdoorsy types can hop from spot to spot, following whatever sounds best on any given night. For people who like to explore little enclaves of sound, Jacksonville’s music scene is the place to be. Some of the popular nooks are The King Street District, St. Johns Town Center and Southside, The Jax Ale Trail, and The Elbow. Each section has its own attitude and ambiance. For example, some sections cater to those who prefer cover bands, while other sections cater to those who prefer beachy, acoustic, upbeat tunes. Whether you want something smooth and laid back to complement those lovely beach days or something loud and energetic to dance off some of the local brews and seafood, one of the hubs of Jacksonville will have just what you want, either along the riverway or on the oceanic coast. How Do I Find Upcoming Jacksonville, Florida Concert Events Near Me? See below for a list of Concerts in Jacksonville FL scheduled for 2019.